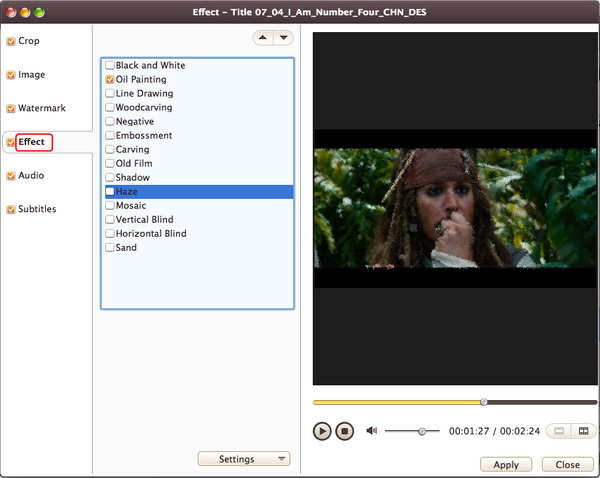 4Media DVD to Video Ultimate for Mac is powerful and easy-to-use DVD converting software with the ability of converting DVD to almost all video and audio formats on your Mac computer. 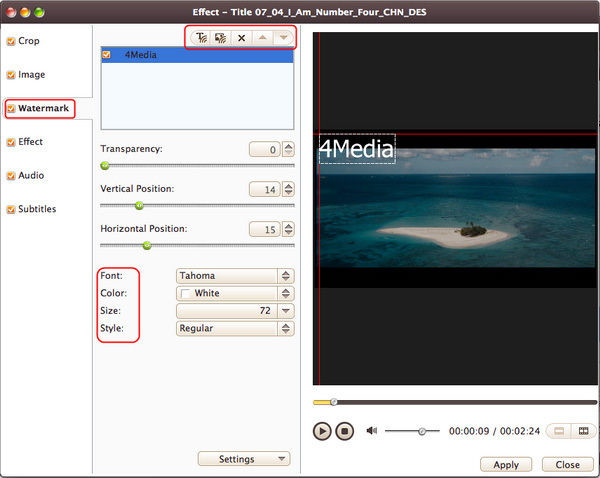 With its powerful compatibility for iPod, iPhone, PSP, Apple TV, etc., 4Media DVD to Video Ultimate for Mac enables you to convert DVD to various portable media players supported formats. 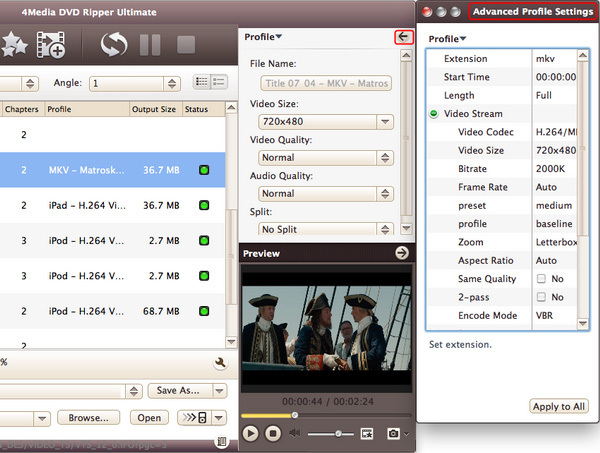 Firstly, download 4Media DVD to Video Ultimate for Mac and then install and run it. 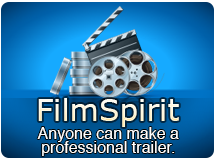 Click "Add File(s)" button on the toolbar or select "File> Add File(s)" on the main menu to load DVD. 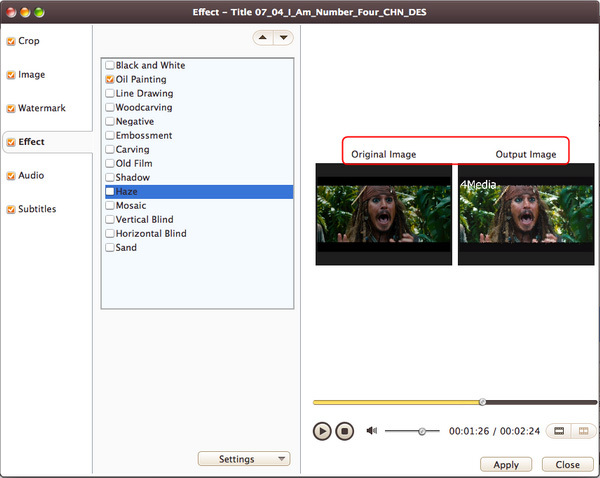 Or, click "Add File(s)" drop-down button, select "Other Folder..." option, select a DVD folder in the file dialog box that opens, and load it. Click "Add File(s)" drop-down button, select "Open IFO Files..." option, select an IFO file in the file dialog box that opens, and load it. 1. We provide abundant profiles compatible with various popular devices. 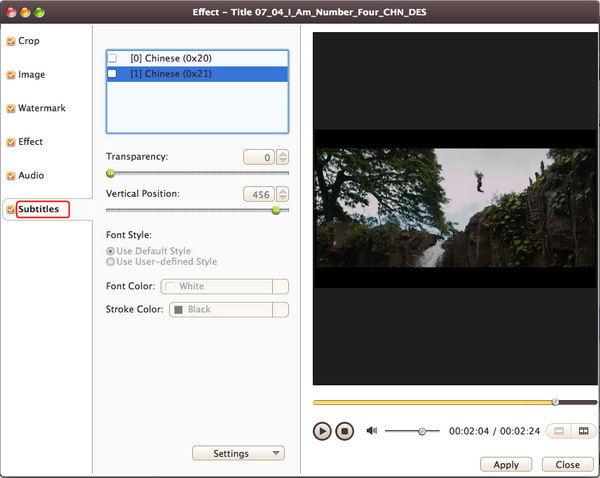 Especially all-around HD video formats are supported. 2.Many options for you to choose. The "Recently Used" option can record your recent usages automatically and it is convenient to use them again. 3.Search for the wanted profile quickly by entering the profile keyword in "Start Searching" textbox of the profile list. 1. From "Settings" drop-down list, choose "Restore Defaults" to restore the default. Or select "Apple to All Transitions" to apple the above settings to all the sub-items in this joint item. 2. 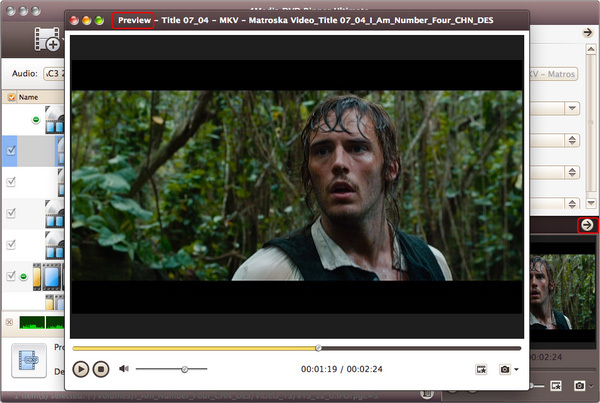 On the right preview panel, click "Play" button to preview the merged items with the added transitions. 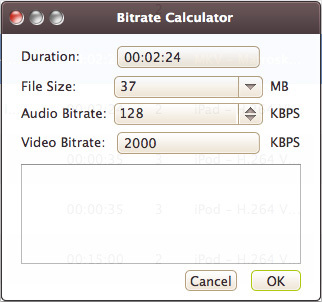 To custom output size, select the video file and click "Tools > Bitrate Calculator" and input value to get exact video size. 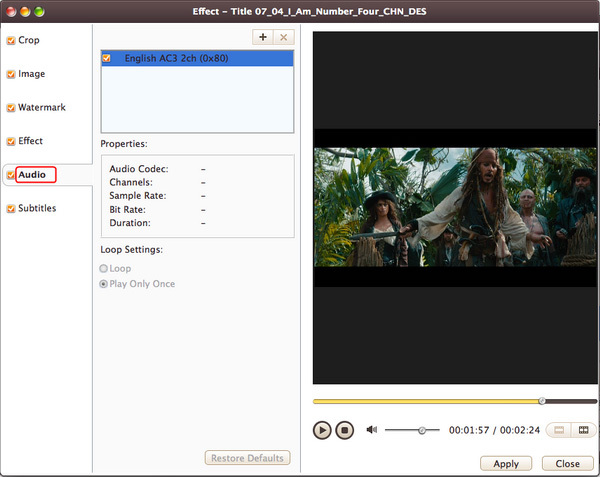 Adjust output parameters include bit rate, frame rate for fluency, sample rate, audio channel, codec and many more. 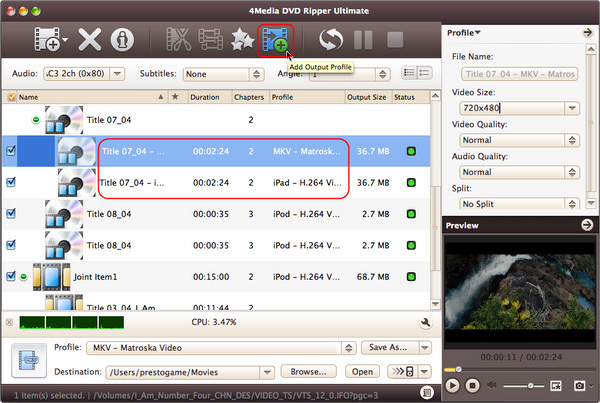 You can directly transfer the converted files to iTunes, iPad, iPhone, iPod, and PSP after the conversion. 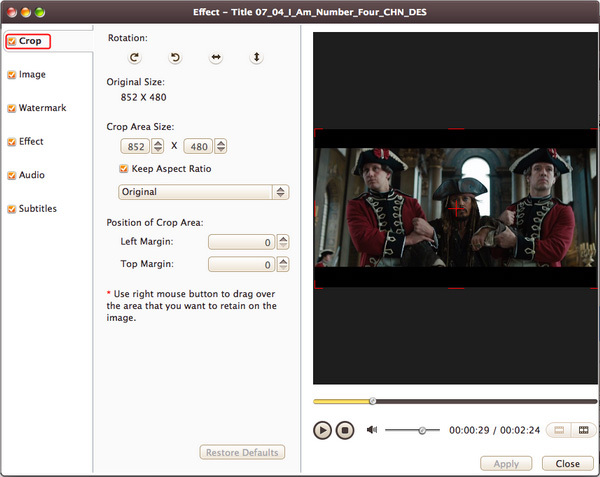 Preview and compare the source video with the edited version in real-time. 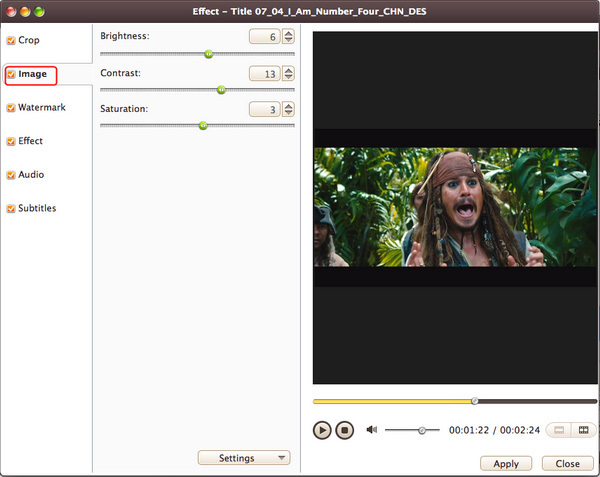 Take snapshots of movie images while previewing.